Adult black flies are small insects of the family Simuliidae, about the size of a Drosophila fruit fly. Their arched thorax gives the flies the appearance of a miniature bison, accounting for one of their common names: “buffalo gnat.” Female black flies typically require a blood meal to mature their eggs. The quest for blood drives the pest status of black flies and the transmission of disease agents to humans, domestic animals, and wildlife. The larvae, which hatch from eggs, develop in flowing water, from trickles to great rivers, including those near public activity (e.g., suburbs, golf courses, and parks), where the emerging adults can be a significant nuisance as they swarm about the face and bite. Black flies also are an important component of a healthy environment. The larvae process large amounts of organic matter in streams, making this material available to other organisms. The larvae also serve as food for predators such as game fish and waterfowl. A sustainable balance between preserving the beneficial role of the larvae in flowing water and the need to suppress the negative effects of blood feeding and swarming by the female flies requires knowledge of the behavior, ecology, and genetics of each species. Not all species of black flies are pests; in fact, most are not. Knowing which black flies should be targeted for control, therefore, depends on the ability to identify the target species. Identifying species of black flies is an enormous challenge because many species look identical to each other, even though their behavior, ecology, genetics, and even pest status may be very different. We, therefore, use an integrated approach to discover species of black flies and subsequently identify and characterize them. Black flies have giant, banded polytene chromosomes. We use these banding patterns, much like a biological bar code, to discover new species and to understand the structure of their populations. By using the chromosomes and molecular tools, we then can determine the ecology and distribution of each species. Our black fly program is involved in global outreach, research, and teaching. We have provided training in cytogenetics, ecology, and natural-enemy biology to students and Visiting Scholars from Brazil, Taiwan, Thailand, Turkey, and the United States. We currently have research collaborations in place with scientists in Brazil, Canada, Colombia, England, Finland, Germany, Japan, Morocco, and the United States. 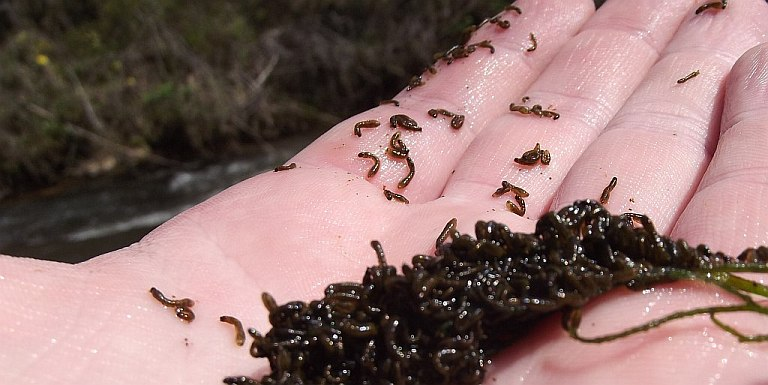 Mass of larval black flies, showing the numbers that can develop on a few blades of vegetation in a stream. Some rivers can produce about 1 billion flies per kilometer per day. Photograph of a stained larva of a black fly; purple dots represent nuclei that contain giant, banded polytene chromosomes. Fragment of a stained chromosome of a larval black fly. This example shows the barcode-like banding pattern that can be used to discover new species and develop an accurate means of identification. 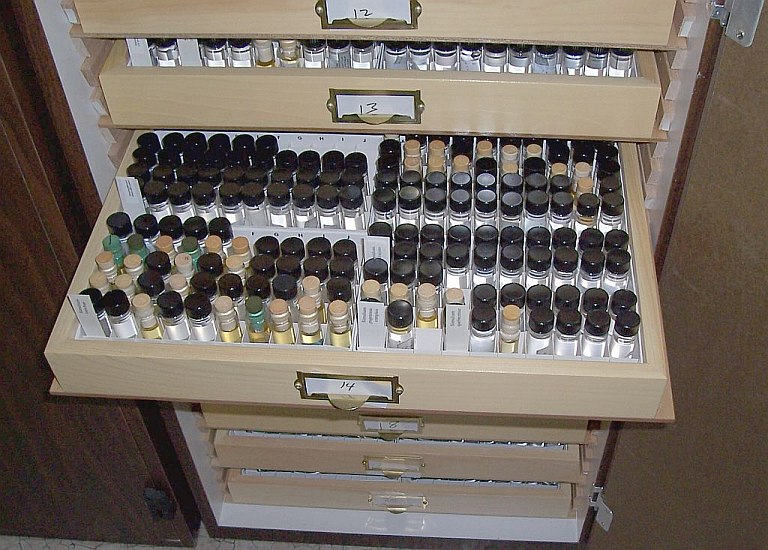 Black flies are permanently housed in the Simuliid Section of the Clemson University Arthropod Collection, which includes one of the world's largest collections of black flies.